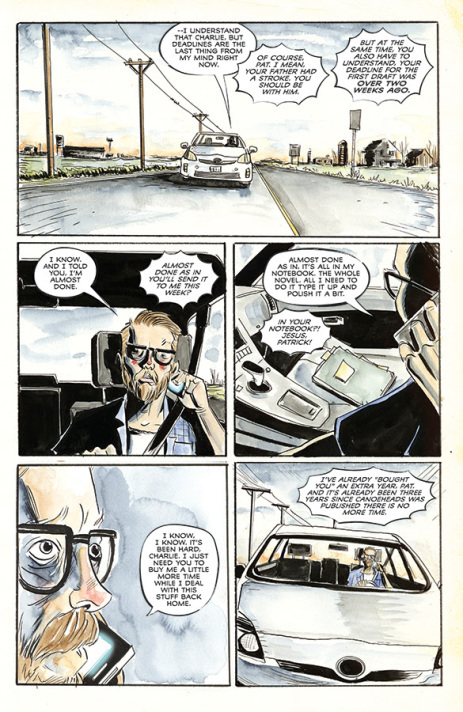 James R: I have said it before but it bears repeating: following the ascent of Jeff Lemire over the last decade has been one of the absolute joys of reading comics. Anyone who picked up Sweet Tooth #1 as I did back in 2009 would have been struck by Lemire's singular talent and worldview - he is a master of taking an extraordinary situation and imbuing it with almost tangible human emotion. His characters are always fully formed, often haunted individuals who seek to come to terms with - or make amends for - lives touched by trauma and loss. The settings for his comics may be far-fetched, but the feelings expressed within are always familiar. The idea of the lost soul is one that permeates through much of his output. In aforementioned Sweet Tooth, Essex County, The Underwater Welder, Descender, Black Hammer, and even his early work, the bruising Lost Dogs, the sense of loss is evident. Reading the first issue of Royal City it's clear that the theme has returned again, but this time it's richer and more involving than before. I have no doubt that this is going to be another masterpiece from Lemire, and without spoiling anything, allow me to tell you why. The plot of Royal City revolves around one family, the Pikes. It begins with the patriarch, Peter, suffering a near-fatal heart attack, which serves to draw all the disparate stands of the family together. A lot of the promotional text for Royal City has focused on Patrick Pike, the now-fading literary star drawn back to his home town following the news of his ailing father. 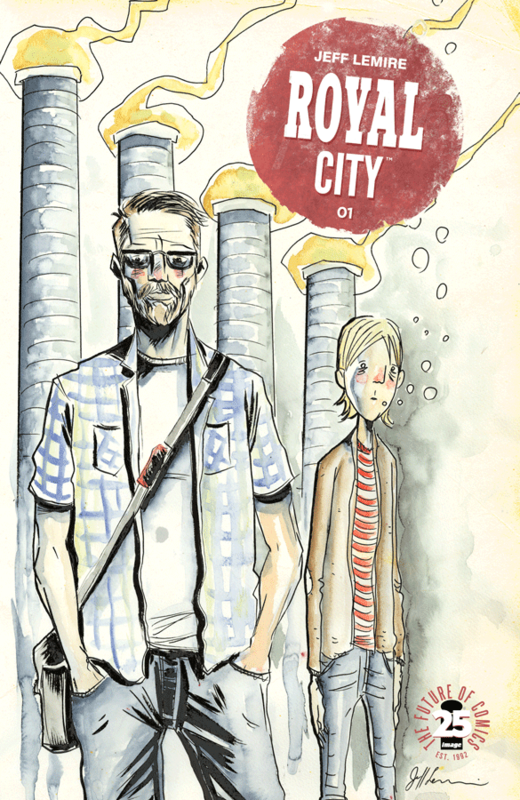 It's clear that Patrick will be front and centre in the book (and this is interesting, seeing as Lemire has described him as an alternative analogue of himself - one who made poorer decisions) but the whole Pike family share the spotlight in this issue, and each member is entwined with the fortunes of the city that acts as the book's backdrop. The potential for this story is huge, and after a single chapter it's totally beguiling. The other revelation from the book relates to the youngest Pike sibling, Tommy. I don't want to give away a thing here, but suffice to say Lemire uses Tommy to incredible effect in these pages, showing that he is fulcrum around which the plot will turn. It's a move of such confidence and intelligence that I immediately found myself re-reading the issue - and long-time readers of the PCG will know that's always been my gold standard of a great comic. Once again, Lemire has put together a first issue that simply demands that you read on. Sweet Tooth, Black Hammer and Descender all did this too; we are given an hugely effective introduction to this world and then left with a cliffhanger which promises much (which is something Lemire always delivers on). Reading this, I felt I was looking at the work of a man at the very top of his game. His art just seems to get better and better; as A.D.: After Death recently showed, his images fall wonderfully between reality and dream. The themes, the perfectly-paced plot, and the distinctive art are in perfect sync here; if you read and enjoyed Essex County, Sweet Tooth or The Underwater Welder, you'll be instantly drawn into Royal City, and be excited to see where this story is going to go and just what secrets the town has buried beneath it.